"We didn't reinvent the wheel . . . just the wheel business." 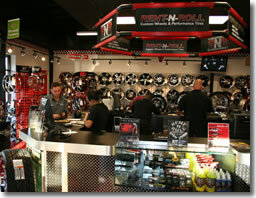 RNR opened the doors of their very first store in Tampa, FL October 2000. Combining over 40 years of Rent to own experience with Custom Wheels and Performance Tires has proven to be a winning combination! While there were many challenges during those early days, the final results have proven to be well worth the time and effort. Starting out with rent to own as the foundation helped launch the RNR model that you see today in over 20 states. 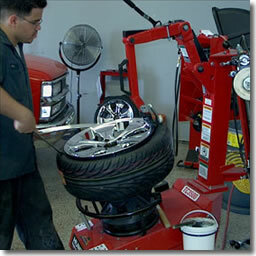 Through foresight and market analysis RNR (home of the RENT-N-ROLL Program) has become a dominate force in the wheel and tire industry by offering retail, rent to own and other payment options.RNR has helped to bring the dream of owning custom wheels and tires to a much broader customer base than ever before as we continue to enhance our program and be innovative at every turn striving to always be the leader in our industry. Have you ever sat back to look at all of the businesses that have grown over the past 20 years? A lot of them offer people opportunities to start their own little piece of the pie, but if you look closely, only the people that got into the game early are really reaping the benefits. The custom wheel and performance tire industry has taken its first steps into the Rent to own world and has seen the great potential, all its needs now is you. Through an easy on-line program you can easily tweak, order and ship your forms and promotional materials directly to your door, it doesn't get much easier than that. When exploring business opportunities, you will most certainly look at the potential revenue of the program. Well, RNR excels at being a business designed to make you the most money for your investment.Generating six figures in monthly revenue per store location is common. Just imagine if you open a RNR franchise in a market that can support 5 store locations. Our initial training program consists of approximately two weeks of on-line, classroom and on-site training at an RNR store owned by us or one of our affiliates in Tampa, Florida. RNR requests that you, your general manager, and at least two additional employees attend and complete our initial training program. In addition, one of our representatives will be at your site for up to 14 days (to be scheduled around your opening). We have dedicated service and sales professionals who work with your team to instill a culture of assistance. Our Franchise Support Team is always available to you and your organization. 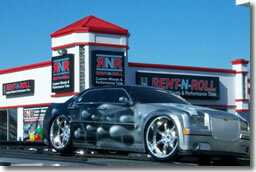 Click on Request Information button above for FREE information on how to start a Rent N Roll franchise today! Please Note: Rent N Roll opportunities for sale, and other franchise opportunities, business opportunities, businesses and franchises for sale on this web site are not to be considered as an "offering", "franchise offering", suggestion or recommendation by GlobalBX. The franchises, businesses and business brokers seen on this web site submit their own individual content. This advertisement depends entirely on the truthfulness of the information provided by our advertisers which includes, but is not limited to, franchisers, franchises, franchise brokers, franchise consultants, business sellers and business brokers. As always, GlobalBX recommends that you consult a lawyer, financial consultant, accountant or professional advisor before buying a franchise or business opportunity or any type of business. By submitting this form and requesting more information, you have agreed to all terms and policies of GlobalBX and the business and franchise offerings listed here. Please review our Terms & Conditions for more information.